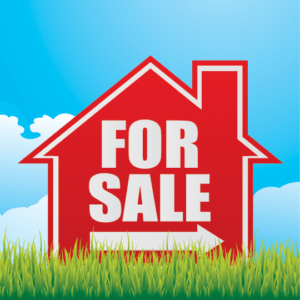 Are you thinking about listing your home for sale this spring or summer? While this can be an ideal time of the year to sell your home, it can also be competitive. There may be many other homeowners in your area who are putting their homes on the market at the same time. When buyers have several options, it’s easier for your home to be overlooked. For this reason, here’s what you need to do to stand out among the crowd. It is absolutely essential that you price your home correctly from the very beginning. If your home is more expensive than comparable homes in the area, then it’s unlikely to get offers. Work with a professional real estate agent who is an expert in the local market. They will have the knowledge, experience, and tools needed to price your home right from the start. Potential buyers will be more attracted to homes that are clean and well-maintained. Before listing your home, clean it thoroughly from top to bottom. This includes shampooing carpets, washing windows, and cleaning walls. You should also make needed repairs like fixing leaky faucets and patching holes. Once you’ve cleaned, it’s time to de-clutter and depersonalize. Store extra furniture and personal belongings. You want your home to feel as spacious as possible. You also want buyers to be able to imagine themselves in your home so don’t leave out pictures of family or other personal items. If possible, have your home professionally staged to maximize its appeal. Potential buyers will form a first impression of your home based on the exterior. It’s important to spruce up your curb appeal. This is the best time of year to make your home attractive on the outside, and you don’t need to spend much money. Trim trees and prune shrubs. Clean up yard debris and keep the lawn mowed. Add colorful annuals and potted flowers and plants to the front porch. Add a small and tasteful decorative touch like a seasonal wreath on the front door. Most homebuyers begin their search online. It is so easy to browse home listings, so you’ll want to make your home stand out in this environment. Consider hiring a professional photographer to take pictures of your home. Great photos will entice buyers to see your home in person. The photos should make your home look spacious and well-maintained. With so many other homes on the market, you’ll need to be ready to show your home at any time. Make arrangements to have pets out of the home during a showing. Keep your home clean and tidy and ready for visitors. Ultimately, one of your greatest resources when selling your home in a competitive market is a professional real estate agent. When you work with someone who is an expert in your neighborhood, they will have the tools and advice needed to make your home stand out. Working with an agent will boost your chances of selling quickly and for a great price, so it’s worth the investment.